Welcome to Our Resources on Eye Health, Common Eye Conditions, and Eye Diseases! This Web site is not intended to give medical advice. The Polaris Eye & Laser, Inc., Web site is provided for informational purposes only. The content does not substitute for professional medical consultation, diagnosis, or treatment. 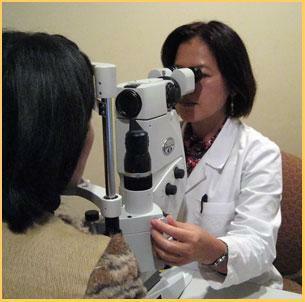 Always seek the advice of your ophthalmologist with any questions you may have regarding your medical eye condition. Never disregard professional medical advice or delay in seeking it because of content found on this Web site. Information on this site is not intended to create any doctor/patient relationship nor should it be considered a replacement for consultation with a health care professional. Should you have any eye problems or health care-related question, please call or see your ophthalmologist or other health care provider promptly. Furthermore, be aware that data and information in the medical field changes frequently and are subject to differing professional interpretations. In addition, the facts and circumstances of every situation differs. Accordingly, although Polaris Eye & Laser, Inc., endeavors to use reasonable care in assembling the information provided through its Web site, Polaris Eye & Laser, Inc., assumes no obligation to update the information and as such, this site may contain incomplete or outdated information. Polaris Eye & Laser, Inc., makes no representations or warranties as to the completeness, accuracy, currency, or reliability of any information and shall have no liability of any kind relating to the information. Polaris Eye & Laser, Inc., does not recommend or endorse any specific tests, products, procedures, opinions, or other information that may be mentioned on this site, including any information provided by third-party service providers, or information which may be linked to external Web sites. 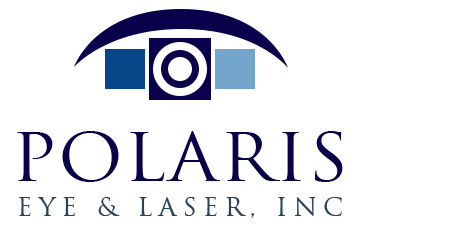 You assume full responsibility and risk for any reliance on any information provided by the Polaris Eye & Laser, Inc., Web site.